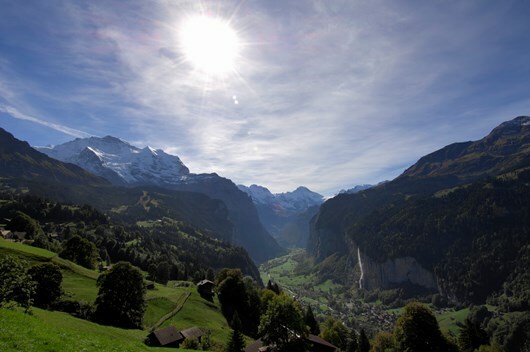 This seven night holiday begins in the car-free village of Wengen – even on the train ride there, you will experience Switzerland from a very special perspective. The following days you’ll explore the wonderful region on foot, using cable cars and trains to take you between the walking routes. This seven night holiday begins in the car-free village of Wengen – even on the train ride there, you will experience Switzerland from a very special perspective. 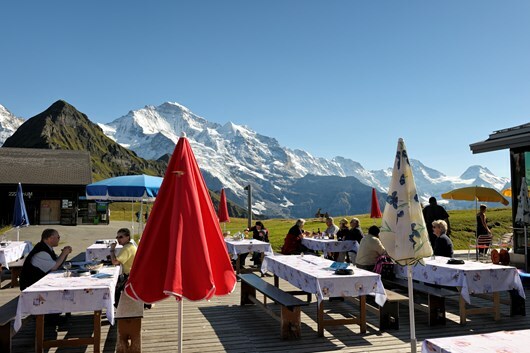 The following days you’ll explore the wonderful region on foot, using cable cars and trains to take you between the walking routes.From Wengen you reach Grindelwald over Kleine Scheidegg and later your journey continues across Grosse Scheidegg to Rosenlaui. 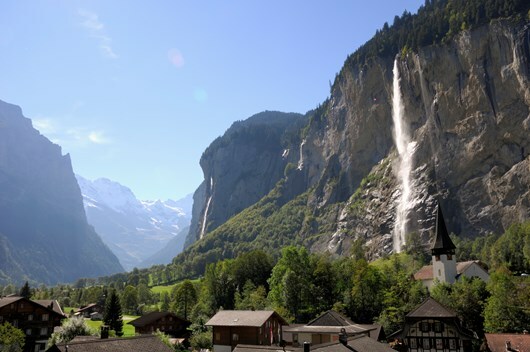 Visit the highest chocolate factory in Europe, see the alpine garden with over 600 species of plants and in Meiringen discover the Reichenbach Falls made famous by Sir Arthur Conan Doyle’s Sherlock Holmes. June & September £1145 per person, based on two people sharing a room. July & August £1250 per person, based on two people sharing a room.Single-room supplement on request. Lunches, drinks, insurance, rail tickets, anything not mentioned in programme. 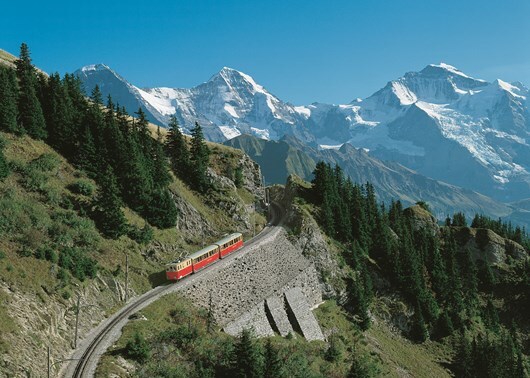 We recommend buying the rail ticket “Jungfraubahnen-Pass”which gives you 6 days rail travel anywhere in the region for £165 per person. 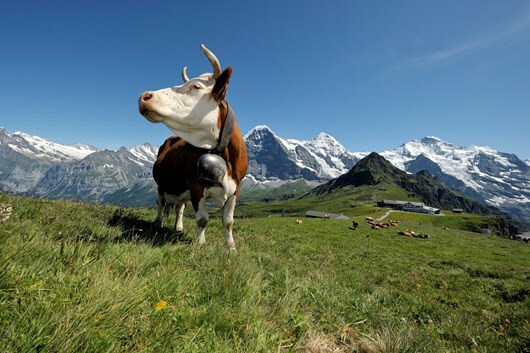 The countryside of Switzerland makes the journey itself to Wengen an enjoyable experience. In the afternoon you have time to explore the mountain village oat your leisure. Overnight in the Romantik Hotel Schönegg. Today’s walking follows the Chamois Trail through a rugged landscape, taking you into the realm of Chamois. Return to Wengen by cable car. 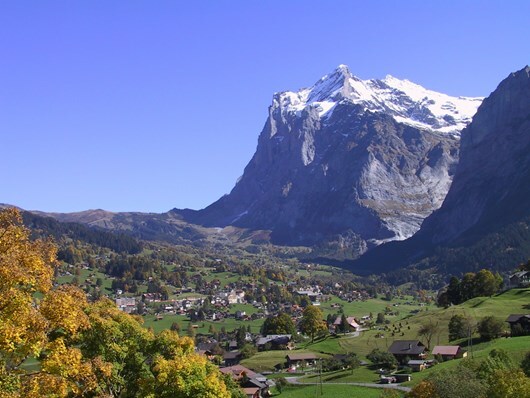 Your day starts with a walk from Wengen to Wengernalp whilst enjoying the views of the beautiful mountain scenery of the Lauterbrunnen valley. 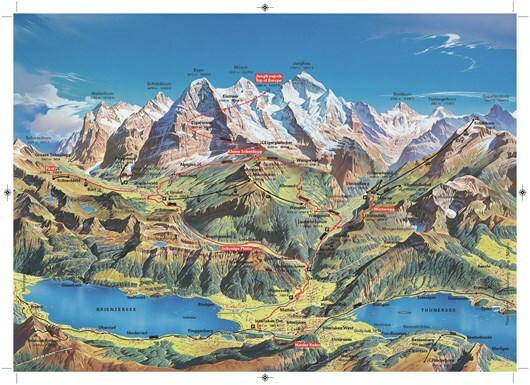 You reach Kleine Scheidegg by train, where the hike up to Eiger Glacier (with the highest-chocolate factory in Europe) starts. On your way you can visit the “Chilchli” – an old transformer station of the Jungfrau Railways and the old Mittelegi Hut with an exhibition of mountaineering equipment from different eras. The train takes you to Grindelwald. Today’s route takes you along the former runway of the ice, a remnant of the Grindelwald ice export era, to Nellenbalm at the Lower Grindelwald Glacier. Here the Chapel of St. Petronella served as a starting point for those passing over the Mönchsjoch to the Fiescher valley in Valais. Continuing your walk you will pass the marble quarry and the gondola of the Wetterhorn cable, which was the first Swiss cable car registered for passenger transport. Overnight in the Romantik Hotel Schweizerhof. You arrive at Wilderswil by train, where the nostalgic cog railway takes you up to Schynigge Platte. After visiting the alpine garden with more than 600 plant species of Switzerland, your route back takes you along one of the finest panoramic walks to Grindelwald. Walking the “romantic trail” from Grosse Scheidegg to Rosenlaui gorge you can visit the centennial saw close to Schwarzwaldalp and Rosenlaui gorge at the end of your day. Tonight the traditional Hotel Rosenlaui will be your home. After visiting the Aare gorge in the morning, take the narrow-gauge train to Meiringen. Here you can visit the Sherlock Holmes Museum; following his footsteps, you may want to finish your trip at the world famous Reichenbach Falls. Overnight in the Hotel Alpin Sherpa in Meiringen.